The Orchestra of St John, which had its first concert in December 2011, presents the St John’s Musicfest from Friday July 20 to Sunday July 22 at St John’s Church, Bromsgrove. The weekend is based around performances by local talented musicians and begins with a celebratory Choral Evensong at 6pm on the Friday. There will also be a Children’s Concert featuring Saint Saëns’ Carnival of the Animals with poetry, and Bizet’s Jeux d’Enfants with dancing by local children. Evening concerts will be given by the Holborne Brass Ensemble and the Frith Piano Quartet, with a final Gala Concert by the Orchestra of St John playing Beethoven’s Symphony No 3 (Eroica). Tickets for the evening concerts are £10 including a programme and refreshments. All accompanied school-age children can attend free of charge. Benjamin Frith is the guest for the weekend, and will perform in the Children’s Concert and with the Frith Piano Quartet as well as playing Beethoven’s 3rd Piano Concerto in the Gala Concert. The daytime events, which include a masterclass on Mendelssohn’s Octet, an Organ Recital by Jonathan Kingston and the Children’s Concert are all free of charge, with voluntary donations invited to support the Festival. The St John’s Café in the church hall will be open all day on Saturday and also on Sunday afternoon, for light meals and drinks. 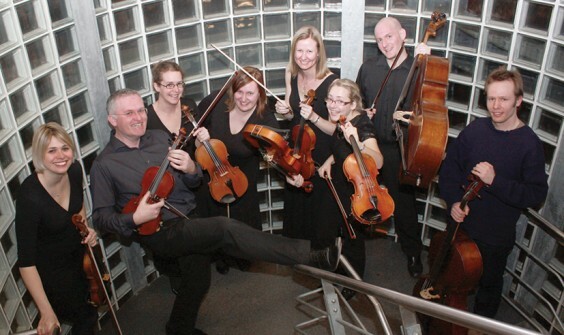 The Orchestra of St John has made its mark on the musical scene in the Bromsgrove area. The first string concert, featuring local young musicians as soloists, was followed up by a choral concert in St John’s Church at Easter 2012. The church choir was joined by other invited singers from around the region for a wonderful performance of Mozart’s Requiem. Richard Jenkinson, a principal cellist with the CBSO, conducted on both occasions. Richard, together with Sue Peters, Alastair Moseley and Cathy Moseley, who have been the driving force behind the project, is pleased with this first year’s achievements for the people of Bromsgrove and the surrounding villages. They look forward to introducing more of the community to classical music in the coming years.